Vehicle recalls are in the news every day, effecting everything from software in your GPS system to possible engine fires. It can be hard to keep up. So how do you know if your car has been recalled? And what should you do if it has? Vehicle manufactures are required to meet certain federal safety standards, enforced by the National Highway Traffic Safety Administration (NHTSA). When they don’t live up to those standards, their vehicles can be sold to drivers with serious safety-related defects. If a manufacturer or the NHTSA discovers this has happened, the manufacturer is required to issue a recall for all affected vehicles. It must notify the NHTSA and then send out notices to each known owner of the vehicle. Usually, the recall notice includes information about when and how the defect will be corrected, such as offering a free repair at the manufacturer’s dealership. These repairs address the specific defect involved. It will not cover other maintenance or repairs your car may need. When Will You Receive a Recall Notice? An auto manufacturer has 60 days after informing the NHTSA of a defect to send out recall notices to consumers. These notices are often postcards or single-page letters. They can easily be overlooked among advertising, bills, and other mail you receive. Even then, if you are not experiencing problems it can be easy to dismiss a recall notice as unimportant and then forget about it. Also, the owners of used vehicles often do not receive recall notices. Manufacturers and dealerships can track who purchases their vehicles directly, and they are required to issue recall notices to anyone whose car has been recalled. But if you bought your car used from a private party or a non-affiliated used car dealer, they may not send you a notice. But don’t worry, you don’t have to have the notice to receive the repair. Once you receive a notice or look up your VIN and find out your car has been recalled, you will need to take your vehicle to a dealership to have the repair done. In this case, the brand matters. 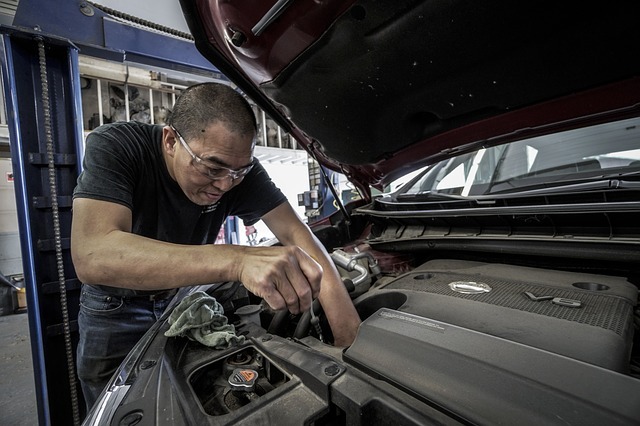 If you take your vehicle to a repair shop rather than a dealership, you will end up paying for repairs the manufacturer would provide for free. Free doesn’t necessarily mean immediate, however. In many cases, you will have to schedule your repair with your local dealership. They may have to wait for replacement parts from the manufacturer, and that could leave you driving a defective car for weeks or even months. Be sure you understand the risks involved and any safety precautions you can take until the repair is complete. Vehicle recalls are all to easy to ignore, but they are necessary to prevent the possibility of serious injury. Check your VIN and get your vehicle repaired. If you don’t, you could be putting your life, and the lives of your passengers at risk. At Macomb Law Group, our product liability attorneys know that defective cars and trucks can cause serious harm that won’t be fixed with a vehicle recall. If you have been injured by a defective vehicle, contact Macomb Law Group and get our team working for you.